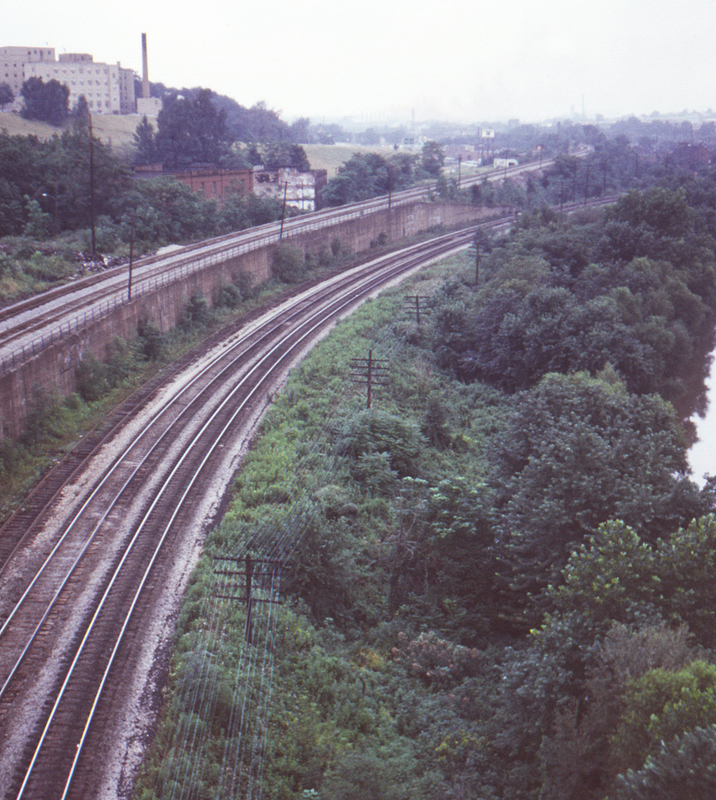 The Baltimore & Ohio's mainline followed the Mahoning River through Youngstown, Ohio. In this view from the Wick Avenue bridge looking west, the B&O is alongside the river, with the Lake Erie & Eastern main to its left. The Mahoning River is just visible at the right.